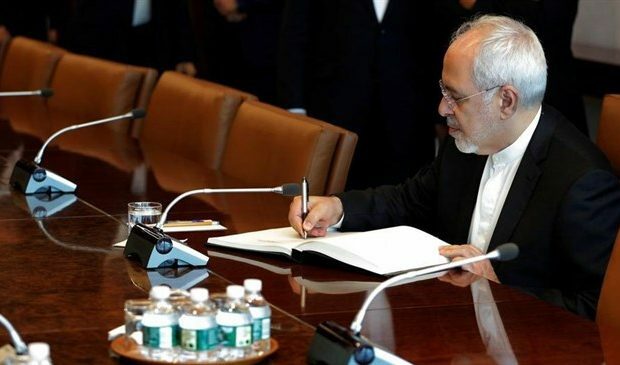 The announcement on 8 May 2018 of United States’ withdrawal from the JCPOA and the unilateral and unlawful re-imposition of nuclear sanctions — a decision opposed by majority of the American people — was the culmination of a series of violations of the terms of the accord by this administration, in spite of the fact that the International Atomic Energy Agency, as the sole competent international authority had repeatedly verified Iran’s compliance with its commitments under the accord. The U.S. decision was rejected by the international community and even its closest allies, including the European Union, Britain, France and Germany. Contempt for international law and attempts to undermine the rule of law in international relations have been among the main features of the current administration’s foreign policy. To the extent, according to media reports, that the US negotiators in the G7 Summit were even insisting on deleting the phrase “our commitment to promote the rules-based international order.” This destructive approach began by showing contempt for the fundamental principle of pacta sunt servanda, which is arguably the oldest principle of international law. 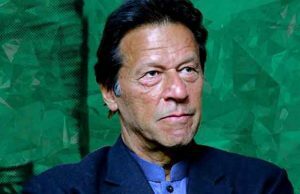 The US withdrawal from some international agreements and undermining others, coupled with efforts to weaken international organizations, are examples of destructive moves so far by the US government, which have unfortunately darkened the outlook for the international order. Obviously, the continuation of such policies can endanger the stability of the international community, turning the U.S. into a rogue state and an international outlaw. Predicating decisions on illusions is another aspect of this administration’s foreign policy. This has been especially evident with respect to West Asia. 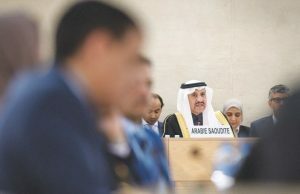 The illegal and provocative decision regarding al-Quds al-Sharif, blind support for the cruel atrocities committed by the Zionist regime against Gazans, and aerial and missile attacks against Syria are some of the more brazen aspects of such an unprincipled foreign policy. 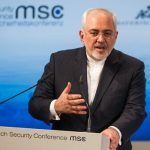 The US government must respect Iran’s independence and national sovereignty and assure Iran that it will end its intervention in Iran’s domestic affairs in accordance with international law in general, and the 1981 Algiers Accord in particular. The United States must abandon its policy of resorting to the threat or use of force – which constitute a breach of the preemptory norms of international law and principles of the Charter of the United Nations – as an option in the conduct of its foreign affairs with or against the Islamic Republic of Iran and other States. The US government should respect the State immunity of the government of the Islamic Republic of Iran, which is a fundamental principle of international law, and, while rescinding previous arbitrary and unlawful financial judgments, it should refrain from executing them in the US and extra-territorially. 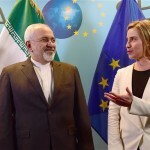 fabrication of fake documents to deceive the international community over Iran’s peaceful nuclear program and to create an unnecessary crisis. The United States government must cease its persistent economic aggression against the Iranian people which has continued over the past four decades; nullify the cruel and extensive primary and extraterritorial sanctions, rescind hundreds of legislations and executive orders aimed at disrupting Iran’s normal development which are in flagrant contravention of international law and have been universally condemned, and compensate the Iranian people for the enormous damages to the Iranian economy and its people. 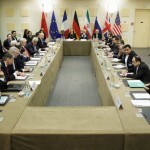 The US government should immediately cease its violations and breaches of the JCPOA, which have caused hundreds of billions of dollars in direct and indirect damages for disrupting trade with and foreign investment in Iran, compensate Iranian people for these damages and commit to implement unconditionally and verifiably all of its obligations under the accord, and refrain (in accordance with the JCPOA) from any policy or action to adversely affect the normalization of trade and economic relations with Iran. 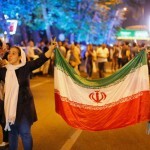 The US government should release all Iranians and non-Iranians who are detained under cruel conditions in the US under fabricated charges related to the alleged violation of sanctions, or apprehended in other countries following unlawful pressure by the US government for extradition, and compensate for the damage inflicted on them. These include pregnant women, the elderly and people suffering from serious health problems; some of whom have even lost their lives in prison. The US government should acknowledge the consequences of its invasions and interventions in the region, including in Iraq, Afghanistan and the Persian Gulf region, and withdraw its forces from and stop interfering in the region. The US government should stop selling hundreds of billions of lethal—not beautiful—military equipment every year to regions in crisis, especially West Asia,  and instead of turning these regions into powder kegs it should allow the enormous amount of money spent on arms to serve as funding for development and combating poverty. Only a fraction of the money paid by US arms customers could alleviate hunger and abject poverty, provide for potable, clean water, and combat diseases throughout the globe. The US government should stop opposing the efforts by the international community for the past 5 decades to establish a zone free from weapons of mass destruction in the Middle East. It should compel the Zionist regime—with its history of aggression and occupation—to de-nuclearize, thus neutralizing the gravest real threat to regional and international peace and security, which emanates from the most destructive arms in the hands of the most warmongering regime in our time. The US government should stop increasingly relying on nuclear weapons and the doctrines of using nuclear weapons to counter conventional threats—a policy that is in flagrant contravention of its commitment under Article VI of the Non-Proliferation Treaty, the advisory opinion of the International Court of Justice, the 1995 NPT Review Conference Declaration, and UN Security Council resolution 984. The U.S. should comply with its moral, legal and security obligations in the field of nuclear disarmament, which is a near unanimous demand of all United Nations Member States, and virtually all people across the globe, including even former US Secretaries of State. As the only State that is stamped with the shame of ever using nuclear weapons itself, it is incumbent on the US to relieve humanity from the nightmare of a global nuclear holocaust, and give up on the illusion of security based on “mutually assured destruction” (MAD). The US government should once and for all commit itself to respect the principle of pacta sunt servanda (agreements must be kept), which is the most fundamental principle of international law and a foundation for civilized relations among peoples, and discard in practice the dangerous doctrine which views international law and international organizations as merely “a tool in the US toolbox”. I admit that regrettably, it is not realistic to harbor a hope for such a change in US behavior. 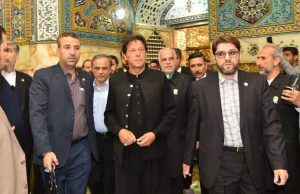 Thus, at the global level the Islamic Republic of Iran has for years promoted inclusion, multilateralism, dialogue, respect for the rule of law and nuclear disarmament through initiatives such as Dialogue among Civilizations and WAVE (World Against Violence and Extremism), and participated actively in international efforts to achieve nuclear disarmament and a rule-based international system. We have also presented practical proposals and engaged in serious diplomatic efforts to end regional conflicts in Syria and Yemen through diplomacy from the earliest stages of these unfortunate conflicts, sadly, to the deaf ears of the United States that continues to support aggressors and terrorists in every conflict in our region. 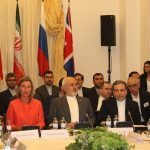 And following the United States’ withdrawal from the JCPOA, Iran has earnestly engaged with the remaining JCPOA Participants (EU/E3+2) in a good faith effort to salvage this unique global diplomatic achievement. We continue to do so as of this writing. See for instance “Impermissibility of the Use or Threat of Use of Nuclear Weapons,” Iranian Journal of International Affairs, Volume VIII, No. 1, 1996 and https://www.theguardian.com/commentisfree/2015/jul/31/iran-nuclear-deal-israel-vienna-treaty-middle-east-wmd .